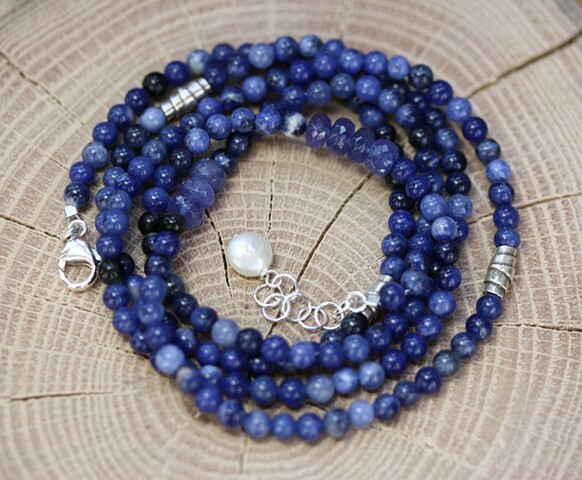 Five strands of sodalite with tanzanite and silver accents. Wear this piece as a 5 strand bracelet or long necklace great for layering. Sterling lobster claw closure with 1" sterling extender chain. Approx 33"